Something as simple as a bright streetlight literally represents a beacon of hope for the citizens of bankrupt Detroit. 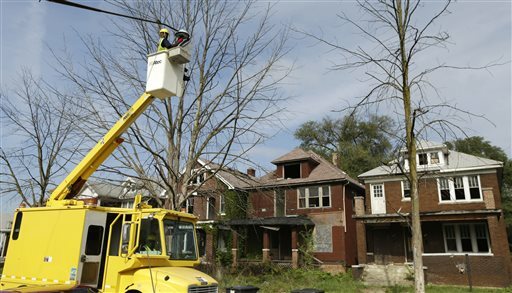 DETROIT (AP) — Sam Walker jumps to attention when he hears noises at his Detroit home. But now he has an ally to help him see what’s happening outside: a bright streetlight that replaced one that was dim and barely effective.